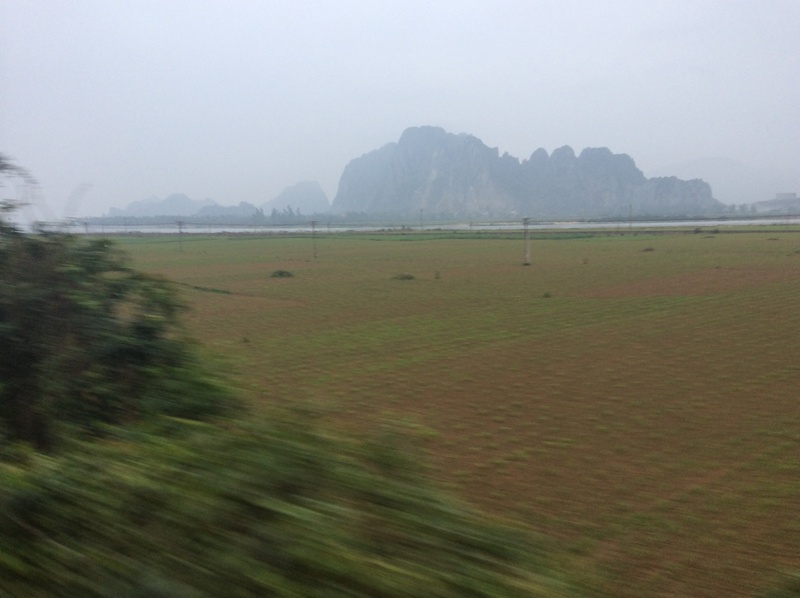 Onlyboy (13) writes about the train journey from Hué to Da Nang. Ah, another day – another dollar. I slept in my day clothes. I don’t have anything to pack. That doesn’t stop my dad. “Get ready,” he says as I play on my ipod. “With what? I’m all packed,” I say. Then the walking. Ughhhhh. It was fun at first walking. Through the train station, on the street and through the park. And then the waiting. It’s nice at first. After all that walking, a relaxing rest. Then after 2 minutes it gets boring. Her seat wasn’t next to the outlet like I thought. So I had to reach over a sleeping Lastborn in the row behind me to the outlet. I could almost reach it. CRRRAAACCCKKKKKKKKKK!!! The seat snapped. You know you can press a button and the seat goes back? Well that happened. But this time it went back without the button. For what seemed for 5 seconds I had no idea what happened but I’m pretty sure it happened in less than than 1 second. Firstborn (who was next to Lastborn) couldn’t stop laughing. Lastborn was STILL ASLEEP. I don’t even know how she did that. The chair back had landed about a centimetre from her face. The Austrian dude came over and helped me put the seat right. And I got the charger after it was all sorted out. 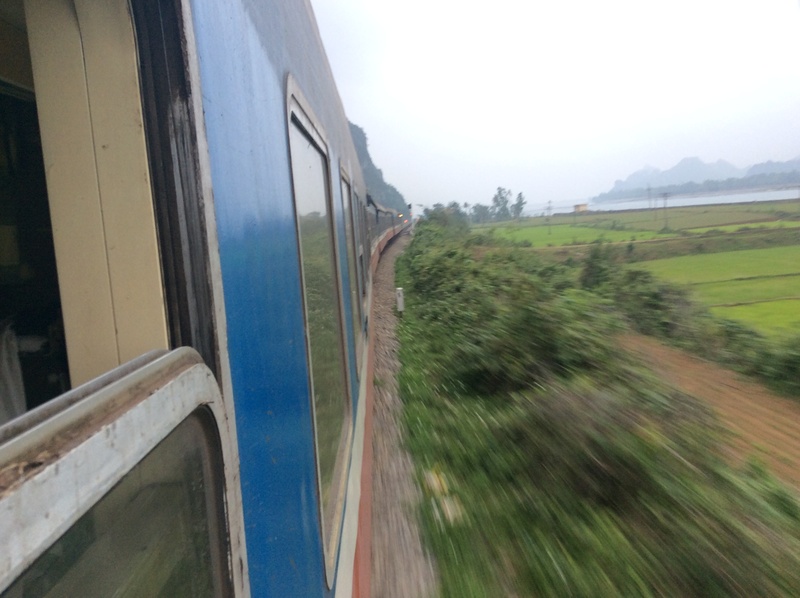 We waited some more and then went off the train with the crowd in Da Nang. Into our taxi to go to the beach house we had rented. *Hué: Man, this town is nice – very little traffic, an amusement park and a river. Also an old imperial walled city. We loved it and wish we had had longer to visit. Loved the title to your post. Caught my attention.